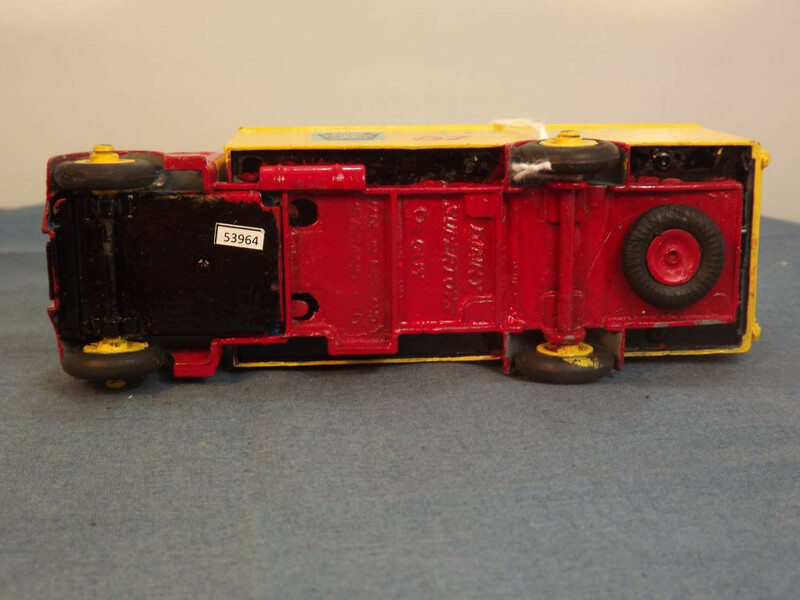 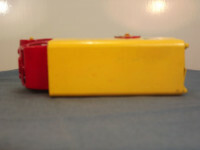 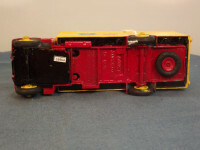 The model features a red cast metal cab and chassis with a yellow cast rear body with opening doors and black tin base. 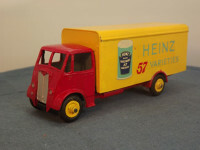 The grille and headlights are picked out in silver paint and there is no glazing in the windows. 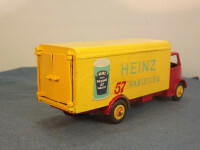 The rear body is yellow with the Heinz 57 Varieties decal in bluey-green with bluey-green baked beans can on both sides.